Run up to 8 races in three countries in only 8 days! -Receive the marathon medal for your first marathon distance, no additional marathon medals after that. -Rooms will only be booked at the double occupancy rate of $2,200, even if there is only one person in the room. You will be asked during the room reservation process to identify the second occupant of your room and to choose what race you would like to run as your free marathon included with the room. 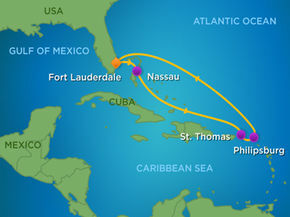 -All races will take place on the Oasis of the Seas deck 5 running track. Each lap is aprox 669.6 meters or .416 miles (official measurement pending). The track has two lanes plus a two shoulders. -Marathons/Half Marathons will take place during the night hours or port calls, when the track is free of guests. -Marathon and Half Marathon medals will be the same design. They will have unique features TBD for each race date/time, such as different colored ribbons. -Overall awards and/or age groups may be added based on number of total runners, but additions are not guaranteed. -The only aid provided to runners will be water. Runners must provide their own water bottles. This is a NO CUP event so that paper cups don’t fly overboard in the wind. -Runners doing more than the marathon distance are highly encouraged to have a crew member with them. There will be an area along the track for runners to keep their belongings but the area per runner will be limited to a footprint of 18”x 13” and as tall as 28”. All your items must be contained within this container at all times. -Race staff or ship staff will not crew for individual runners. There are several food options for runners near the track. -There is on-board medical staff in case of emergency. Runners are responsible for any additional cost of any medical treatment. -There is massage staff on board for extra charge and will need to be coordinated by the runner. -All distances, other than marathon, will be based on full laps. For the marathon, we will start the runners at the partial lap point so that you finish at exactly 26.2 miles. -Runners will generally have to go in the same direction during times when other guests are using the track to avoid collisions. We will attempt to switch directions in off times, but this cannot be guaranteed and is the discretion of the ship staff and race officials. -No walking on the inside lane. If you are walking you must be in the outside lane. -No running or walking two abreast, only two abreast to pass another runner. -Running trains of 3 or more runners is allowed. Two runners running consistently together will be considered pacing and will be asked to separate. -Runners departing the track must re-enter the track at the exact same door they departed. Online payment guests will pay credit card and website processing fee; no processing fee for payment by check. Cancel before 14 Nov 2016 and you will be refunded your paid amount minus CC processing fees & $100 per person. Cancel before 20 Dec 2016 and you will be refunded 50% of your paid amount minus CC and website processing fees. Cancel after 20 Dec 2016 and you will receive no refund. You may transfer your room to other guests until 13 Jan 2017 for a fee of $250 per person. Discover a fresh take on Mexican favorites at Sabor Taqueria & Tequila Bar. Sabor — in Spanish, it means flavor. But here, it's that and so much more. A vibrant dance across the plate and palate. A long heritage of fresh, simple ingredients, reimagined in full bloom and seved a la carte. 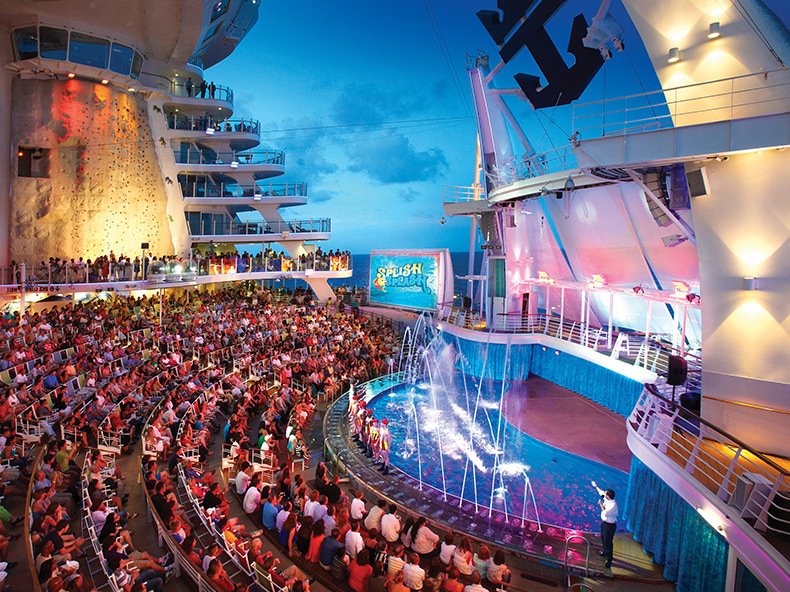 Sweeping, multi-level ambience, world-class cuisine and the most attentive staff at sea. Our main dining room serves exceptional, multi-course meals for breakfast, lunch and dinner. Enjoy a new dinner menu each evening in an elegant setting, with extraordinary personal service from your dedicated wait staff. Two seatings nightly, or choose My Time Dining. For an authentic New York pizzeria experience, head to Sorrento's for fully-loaded pies right out of the oven. Sample rotating creations from chorizo to Hawaiian to Pizza Florentine—with classic cheese and pepperoni always on call. Free except, there's a charge between midnight and 5 a.m. Room service can NOT be delivered to the track.